After last week’s post, where I talked about my decision to quit sugar, I’ve received such a great response. I’ve had lots of people wondering why Im doing such a crazy thing, and telling me they could never do it, which I totally understand, If a month ago someone had told me I’d be quitting sugar, I’d have laughed in their face! I’ve also had lots of encouragement, which has been so nice to read, so thank you for that. 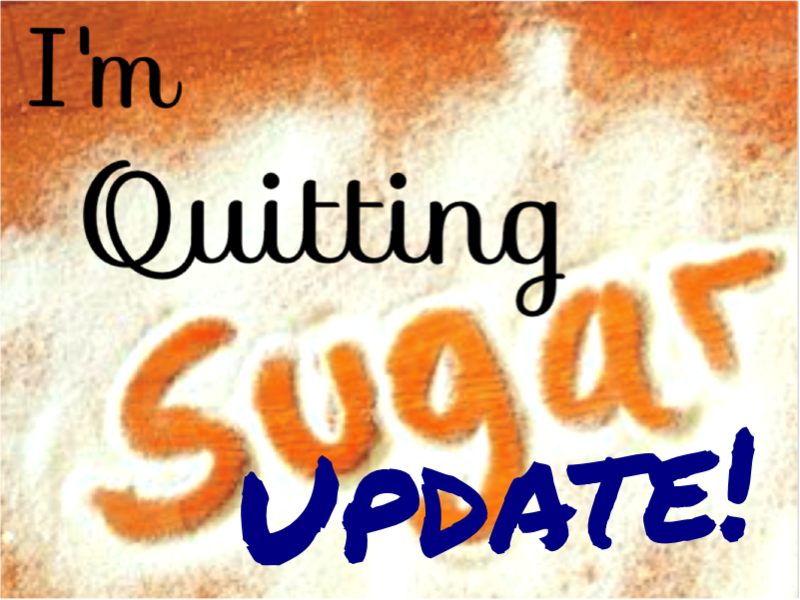 Lots of the comments I’ve received both on my blog and on twitter have been from people wanting to join me in quitting sugar, or wanting to hear updates on how Im finding it, so I’ve decided to do my first quitting sugar update. Im hoping to do this once every two weeks to give you guys an idea of how Im finding it, but without overwhelming you with update posts! So It’s been just over a week since I started my ‘detox programme’ and quit sugar, and Im going to give you a little idea of how I’ve found it. - As a sugar addicted, the thought of not having any of my sugary favourites was a scary thought, however I feel like I’ve been doing really well. I’ve cut out the obvious sources of sugar, chocolate, yoghurt, fruits, cereal, white carbs, and the hazelnut shot in my latte (it just tastes so good!). I’ve also been a lot more careful in checking the labels before I buy things, and it turns out sugar is in EVERYTHING. Obviously I can’t just stop eating, so I’ve been aiming to eat products with around 3-5g of sugar per 100g, with a net total of about 25-40g of sugar a day, as this was the amount suggested by Sarah in her book. I’ve been tracking my food/calories (as Im also calorie counting) on the myfitnesspal app, and I’ve been quite good at staying within the allowance. - Although I have been pretty good at saying no to sugary things, checking labels and making healthier less sugary choices, I have slipped up. On Saturday I woke up at Josh’s house, and the only breakfast food he has is coco pops. After a huge bowl of chocolatey goodness my day kind of went down hill, eating sugary foods all day and feeling physically crappy for it. However as some lovely people on twitter said to me, It’s only one day, and slip ups happen, especially in the first week, so I didn’t let it get me down, and I stayed on track for the rest of the week. The main struggle I’ve found so far is the cravings, all day every day Im craving sugar, whether it’s cereal other than shredded wheat (the only low sugar cereal), a chocolate bar in the afternoon, or a yoghurt and fruit after dinner. Im craving sugar constantly! - The book mentioned that at the beginning of quitting sugar there is a period where you will feel like crap that can last between one to six weeks. Personally I haven’t experienced any side effects over than sugar cravings. Some common side effects are headaches and mood swings, and as I’ve been suffering from headaches regularly for a few months I haven’t noticed any increase. My hormones, mood and emotional state have always been something I’ve struggled with, and has always been a bit up and down and easily changeable because of my polycystic ovaries syndrome (which effects your hormones). So I haven’t had a noticeable change in this side effect either. - So far, other than constantly craving sugar, I’ve found it quite easy and enjoyable quitting sugar. Im eating less food than I did before, but I’m feeling fuller and needing snacks less often. In fact most days I’ve been either reaching my daily calorie goal (1400), or coming in under, without restricting myself or feeling hungry. I’ve been feeling less bloated and generally less lethargic and tired during the day, although I do still get tired in the afternoon especially If I’ve been at home all day doing uni work and on my laptop. The biggest result I’ve had from quitting sugar, and something that has made me incredibly happy, is that I’ve lost 2lbs in just over a week! As someone who really struggles to loose weight due to my PCOS (as mentioned in a previous post), having a 2 pound loss is something I’m so proud of, especially because I haven’t been doing any exercise, or felt as if I was dieting or restricting myself, other than not eating sugar. Although It’s only been one week since I quit sugar, I’ve found it incredibly beneficial and Im really looking forward to carrying on. Hopefully I can keep loosing weight, and the cravings will disappear soon. If you’re inspired to quit sugar yourself please let me know and we can support each other, also If you’ve got any questions about quitting sugar feel free to ask, and let me know If you like the idea of fortnightly updates on my progress. I've been considering doing this as well! I'm away on holiday but I think when I get back I will give it a go :) Have you been able to eat much bread? Or is that full of sugar as well? I'd really recommend it, but start after you're holiday, no one wants to cut out sugar on holiday! I've been looking at this book too and tempted to buy it once payday rolls around. There is a bit of a sugar quiting craze going on at the moment! Hang in there!